Thick, stiff, and cool material. 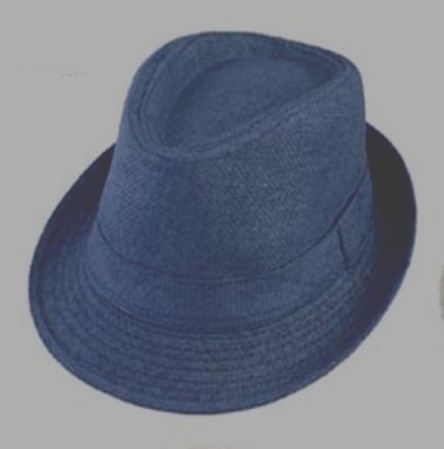 Our Kid's Paper Straw Fedora is a perfect summer hat for your little guy. The hat is fully lined with an inner sweatband to provide a comfortable fit. The hat measures 53cm -54cm for ages 4 - 8 years approximately. Made of 100% paper straw. Crown measures 3.5 inches deep. Brim measures 1.5 inches long, upturned brim in the back.